​The Alderlea | T4 | Pacific Energy Wood Burning Stove features a large glass window for a clear view of the fire, a cooktop, efficient heat output and is easy to use. 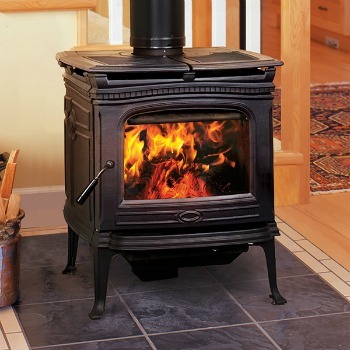 This cast iron stove is a reliable source of heat with vintage charm and unmatched durability. This stove is perfect for smaller spaces, big on performance. Conveniently sized for spaces up to 1500 sq. 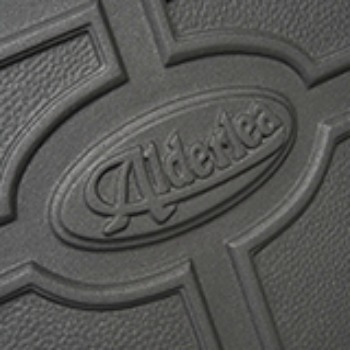 ft., the Alderlea T4 in traditional cast iron incorporates many features. This Alderlea stove is equipped with a concealed cooktop, an air-wash for a clean extra-large glass window, floating firebox durability and an ash chute for easy cleaning. Great Looks, With a Practical Side. The T4 is an effective heater with old world charm.